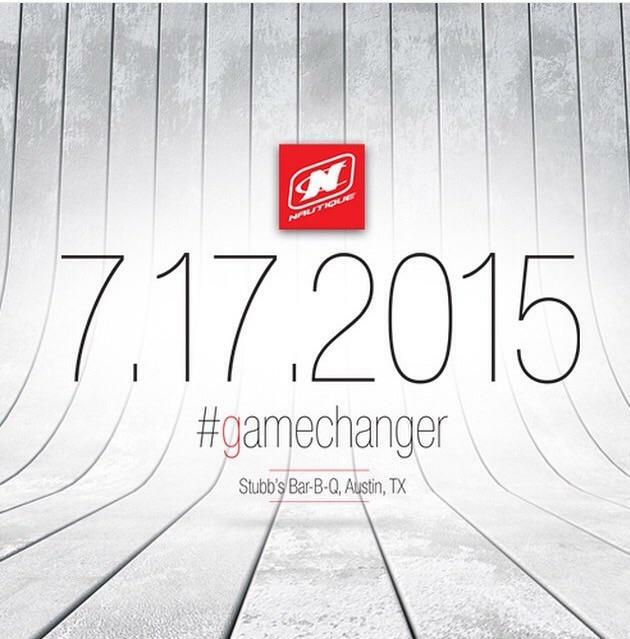 Just saw on the Nautique website and the Facebook page that they are announcing a "game changer" on 7/17. Let the speculation begin. New tournament ski boat perhaps? Maybe a boat under $45,000? That would be a game changer. It's hard to see, but if you look really closely, you can see that the "g" is highlighted red. My guess is something with the G-series boats....but I've also heard speculation on the 2016 ski boats as well. I know nothing and do not expect a 200 replacement but I would not fall out of my chair if it is a new 3 event boat. Is about time. @Jody_Seal knows and I am sure he will not spill it. Anyone have good blackmail on Jody? 196 MS Limited Edition. 6.2 engine. Yeah imagine a cheaper new 196 option, that would be interesting. Probably be more likely to abandon 3 event completely in favor of wakeboarding and V-drives than see a sub $45k boat again from the top 3 manufacturers. @ozski would you care to make a bet on that possibility? Highly doubt it's 196. That's not a game changer. It's been done. An entry level wake boat has also been done by mc and Malibu . So not really a game changer either. A world class all event boat would be a game changer. But don't see how that is possible. steer by wire -aka gps & accelerometer controlled steering. also utilizes an as yet unrevealed mechanical feedback method for instantly detecting velocity change. full disclosure will follow filing of patent applications. I'm thinking its power plant related. Hybrid , V6 , electric? What ever happened to that electric 196? Collecting dust somewhere ? It's been 4 years. @rodtg2 -they plan to run it again as soon as the battery finishes charging. Likely just overhyping the introduction of the gdi engines and the largely imaginary fuel savings that come with that technology. I definitely wouldn't be surprised to see smaller displacement engines with more power and better fuel economy. @webbdawg99 I know for a fact the smaller engine options are coming to the sport but can they push a 200? That boat is so much better with the 6.0 compared to the 5.7. It would require an efficient hull. That would be a whole new boat. @Horton - Nope Its morning here and that was a pre coffee post. But thinking back 2 years you heard next to nothing about the Carbon Pro, now they are clearly getting traction in the market and I think there is room in the Nautique line up for a cheaper entry level boat. Tim has a 16 ordered already so who knows. I did hear that there was a hull change announcement at Nats but?? Love me some Stubb's BBQ. /oh, and the boat. Yeah, it's a G wakeboard boat. I don't know what they could really do to the g series. They already have a 21, 23 and 25. And those boats are pretty dialed. I heard on PN they are making big updates to the G. Could just be the new engines though? Are they making an announcement AT Stubb's BBQ? Not sure I see the connection, but I have been there and even as a not-very-big-BBQ-guy, I was quite impressed. Austin has great food for sure. 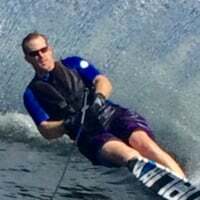 Oh man, now you've got me thinking of the Iron Cactus, which I freakin' love, and I even heard there's a waterski connection there? I am pretty sure my Iron Cactus shirt that says something about how life is too short for bad tequila, is the only alcohol-themed shirt I have ever owned. Yeah, yeah, I'm veering off-topic, but nobody has any actual info about this Nautique thing anyhow. Than_Bogan as you know Stubbs is a Hot Spot for BBQ and live music, Sail n Ski is one of the top if not the top Nautique dealership, I think they may have something to do with it, I will be checking on it tomorrow. 16 1/2ft convertible bow that weighs just under 2,000lbs with the trailer, and is powered by a direct drive 2.5 liter aluminum 4cyl that makes 225hp. Super hole shot, top speed of 48mph, center pylon, seats 6 with the bow open, and burns 3 gallons of regular fuel per hour. Gonna need 5 huge tracking fins to keep that boat on track ! Whatever it is, it's going to be less impressive than the hype they are trying to generate. 196 "R" with a walk-through open now? That'll be $60,000 please.